If you have a great idea but don’t know where to start, HKCSS is willing to discuss with you and provide SE startup support. We also have a lot of practical information to help you solve the problems. What will happen when a passionate teenager (Ho) meets a hearing-impaired lady (chiu-yee)? Can Chiu yee pass through the darkness? 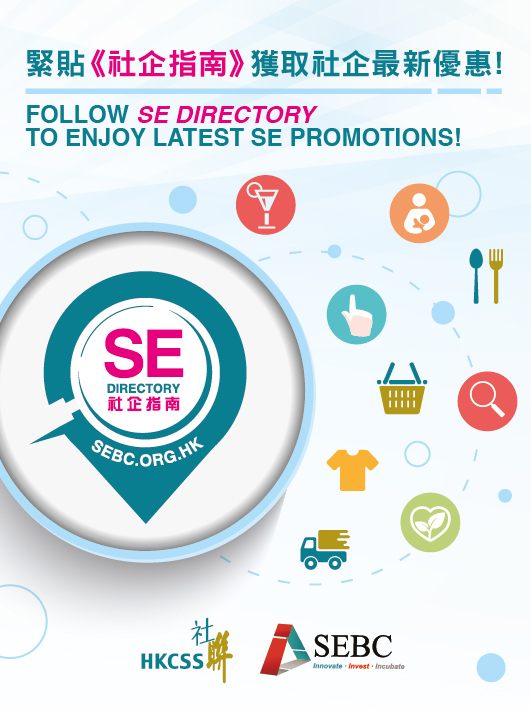 SEBC specially presented the “SE partner” to introduce social enterprise. HKCSS launches Impact Incubator to provide holistic supports to social entrepreneurship and social innovation. HKCSS partners with J.P. Morgan to organize the first Good Fest @ GoodPoint. The themes are “sustainability” and “diversity” this year with the objectives to encourage the general public to understand the stories of different local social enterprises on how they venture to create and identify community values through an entrepreneurial approach.